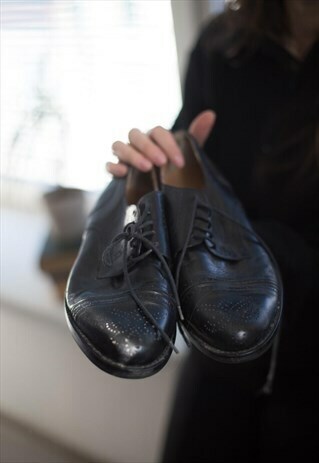 Vintage 70's black leather brogues. UK size not written but looks like 10.5 - 11. Inside sole - 10.75 inches. Please note this is a vintage item so minor signs of wear are expected.